IPOPI held its XIVth Biennial meeting in the fantastic city of Barcelona, Spain, on 21-24 September, in conjunction with the ESID and INGID Congresses. IPOPI Biennial Meetings are unique events for our National Member Organisations (NMOs) and provide great opportunities for interaction and learning. The recent Biennial meeting was no exception! It was well attended by 100 participants and featured a skills building programme tailored specifically for our NMOs, medical lectures for patients, updates on the immunoglobulin replacement therapy environment provided by industry representatives and more! The Biennial meeting workshops were particularly well attended. IPOPI’s NMOs were asked to share highlights of their most successful projects in the last two years and their planned activities for the near future in a workshop called ‘NMOs successes and challenges’. The agenda included an interactive session on strategies for fundraising and examples of several successful cases provided by NMO leaders themselves. 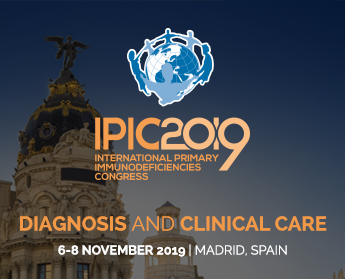 The Primary Immunodeficiencies Principles of Care were also subject to a workshop aimed at helping NMOs with the implementation of the Principles in their countries. You can read more about in our dedicated article. The workshop ‘Ideas worth spreading’, held on the third day of the meeting, was a great opportunity for NMOs to learn from each other. All participants were asked to give ideas on 8 topics – awareness, advocacy, access to care, data collection, stakeholder cooperation, social media presence, patient education, trustees/volunteers development – and later split into smaller groups to prepare and present a report for each topic. The Biennial meeting programme also included several medical lectures designed for patients on an array of topics, from SCID (Severe Combined Immunodeficiency) newborn screening, treatment updates, management of gastrointestinal issues as well as an excellent session organised by IPOPI’s Medical Advisory Panel which summarised the main highlights of the ESID scientific programme. IPFA (International Plasma Fractionation Association) and PPTA (Plasma Protein Therapeutics Association) were also in attendance and provided presentations in a session looking at “Immunoglobulin replacement therapies: now and tomorrow, developed and developing countries”. IPOPI’s General Assembly took place on 23rd of September. The meeting was an opportunity to review IPOPI’s latest achievements and planned activities and to approved IPOPI’s annual accounts. IPOPI welcomed during the meeting 6 new National Member Organisations as full members: Bolivia (FIDEP), Brazil (ANPIC), Slovakia (Association of Patients with Primary Immunodeficiency), Thailand (ThaiPOPI), Ukraine (RID) and Vietnam (VietPIPs). During the General Assembly, Mr Andrea Gressani (Italy), Mr Bruce Lim (Malaysia), Ms Violetta Kozhereva (Russia) and Dr John Seymour (USA) were elected on the IPOPI Board of Directors and will be serving 4 year mandates. IPOPI would like to congratulate all new Board members and thank all the candidates that ran for election!